The street names for different opiates are important to know. If someone you know is abusing and referring to specific drugs, knowing which ones they are might help you pinpoint the issue and seek treatment in the case of addiction. 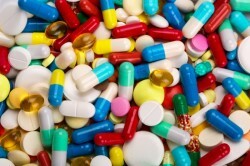 Opiates, or narcotics, are painkillers, but they come in a variety of different medications. Opiates are often referred to by slang names when they’re being abused. Opiates, or opioids, are narcotic drugs that cause euphoria, alleviate pain, and can sometimes be used for medical purposes as well as recreational. Opiates like oxycodone and hydrocodone are used in medication to relieve a person from mild, moderate, or severe pain depending on the drug itself. Opiate medications and recreational drugs also “directly depress… the central nervous system” (ISATE). Opiates originally come from the poppy plant and can be either natural, synthetic, or semi-synthetic substances. Their effects “are multiplied when used in combination with other depressant drugs, causing increased risk of an overdose” (DOI). This, the fact that they are habit-forming, and the possibility for dependence which results in painful withdrawal symptoms make opiates potentially dangerous. The different types of opiates have many different street names. It may be necessary for you to know which opiate a person is discussing, as some are more dangerous than others. For example, heroin is a very dangerous drug that has no medical use as compared to codeine which can still be very problematic but is used in cough syrup and other medications that can be found commonly around the house. Black stuff, gum, hop, block, big O, guma, zero, when-shee, dreams (or variations of the word dream), Aunti Emma, toxy, O.P. Street names being used for a certain substance are usually a sign of recreational abuse of that substance. If someone refers to heroin as smack, it does not necessarily mean that he or she is abusing the drug, but these are important signs to look for if you already believe someone you care about might be abusing opiates. If you are able to conclude that he or she is abusing narcotics, seek treatment immediately. Addiction to opiates is serious and will only become worse the longer it continues.